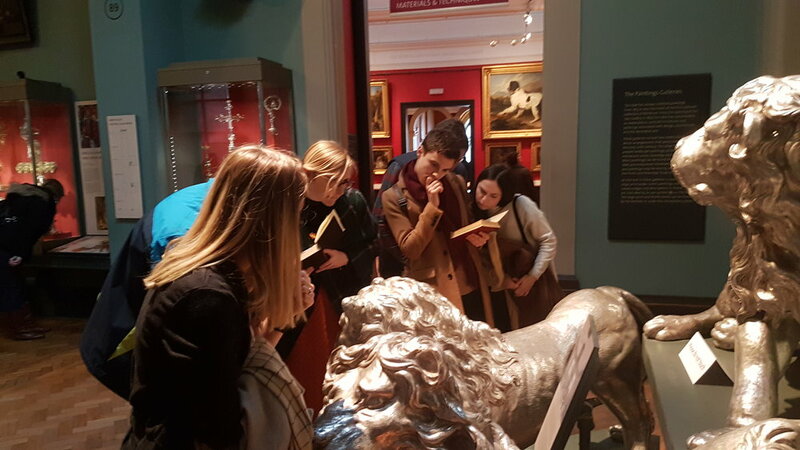 The notorious academic adventurers of The Wingback Society need help solving another mystery at the Victoria & Albert Museum! In what may be the most important expedition the Society has ever undertaken, you must race the clock and crack the clues to avoid a devastating outcome: the complete disappearance of our tea set! You will have 90 minutes to uncover the whereabouts of the Wingback Society’s lost crockery and return in time for tea! In true Wingback fashion you should expect cryptic clues, helpful characters, and a live leaderboard. You’ll have to think quickly to avoid ruining teatime forever. If you have already mastered our original adventure at the V&A, Raiders of the Lost Archives: A Curatorial Case, where we were on the hunt for Delilah Athelby's missing treasure, you would be very welcome to join us again in the search for the tea set, which will involve puzzles on floors of the museum we have not yet explored. New players are also welcome: The Sunken Tea Set and our original Curatorial Case can be attempted in either order. The Victoria & Albert Museum is much larger place than you may have had reason to believe. In this expedition, we will be exploring levels four and six, previously unknown to the Society. The Society is in disarray; their beloved tea set has been lost, and lacking morning tea, all other Expeditions have become impossible. You have been called in as a trusted member in this time of need. Help the society as they scour the Victoria and Albert Museum for clues. Buried in the long history of the Wingback tea set are the answers you need to find the missing crockery, and save afternoon tea! Discover the secrets of the lost tea set: crack cryptic clues, explore hidden corners and spot tiny details. React quickly when new clues open up or old ones close. And work together - you'll need sharp minds and sharp eyes for this one! Play solo, in a pair, or in a team of up to five. The Sunken Tea Set is another adventure in our Raiders series - if you haven't played yet, you can begin with any of them! The game takes place in the Victoria & Albert Museum; they're very happy to have us, but ask us to remind you that it's not an official V&A event. Although those are excellent too.